Location: At the end of Rindle Road on the west side of the level crossing. Present state: Demolished. 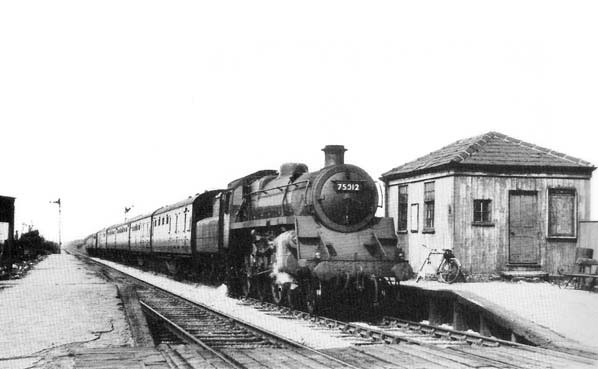 In 1972 a signal box was built on site of westbound platform. Notes: Astley was situated on George Stephenson's 1830 Liverpool and Manchester Railway the world's first railway to cater for passengers as one of its primary functions. It was also arguably the worlds first inter city railway. When the line first opened on the 15th September 1830 no details exist of the initial intermediate stops and Walkers accurate description of the line at the time of opening says that fares for intermediate stops had not been settled implying that initially there might not have been any stops. Astley opened in the middle years of the 1840's and by the end of the 19th Century it had been developed into a two platform station with wooden booking and waiting facilities on the Manchester platform. 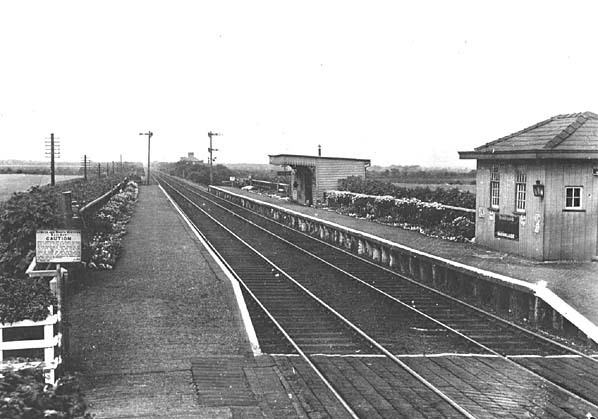 The station was located on the west side of a level crossing on the famous Chat Moss which had been crossed by Stephenson in 1830 by floating the line on a bed of branches and vegetation on which an embankment was constructed. The 1830 Liverpool to Manchester line is still a busy railway but over the years many of its intermediate stations, including Astley have closed to passengers. Astley was closed on the on 7.5.1956. Former railway houses adjacent to the level crossing are still in existence. Today a signal box dating from 1972 stands on the site of the westbound platform. An earlier signal box had stood on the east side of the level crossing. 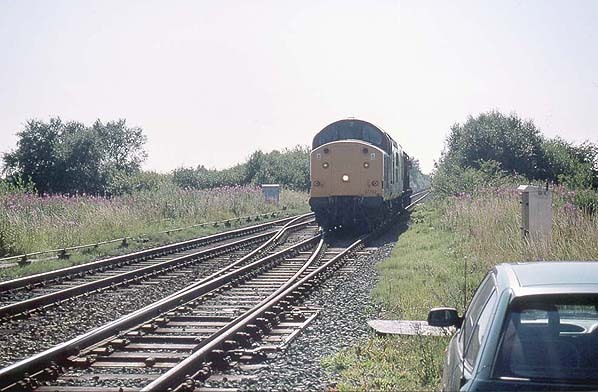 The site of Astley Station in July 2000. The signalman's car is parked on the east end of the eastbound platform site.